I got the creative itch this week. You know, the one where you want to make something like, right now? Go ahead and call me a crazy crafts lady, but this happens to me more often than I'd like to admit. (Maybe that's part of why I write this little blog? Gotta get this stuff outta my system.) So I scratched that itch and did something. I whipped up a little banner inspired by a couple of different photos I spotted recently and it was so easy - I'll show you how so you can make one too :). 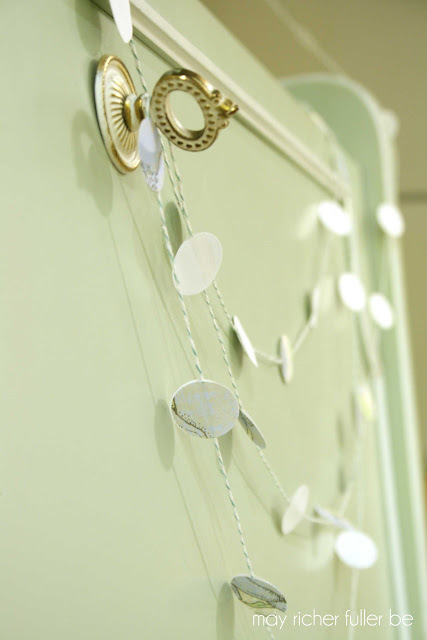 Oh, and there's no messy glue, tape or a sewing machine involved here. 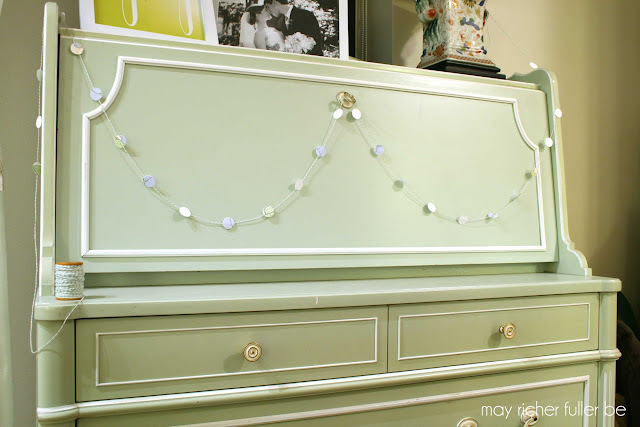 Read on to see how I avoided using that stuff! Step 1: Punch circles out. 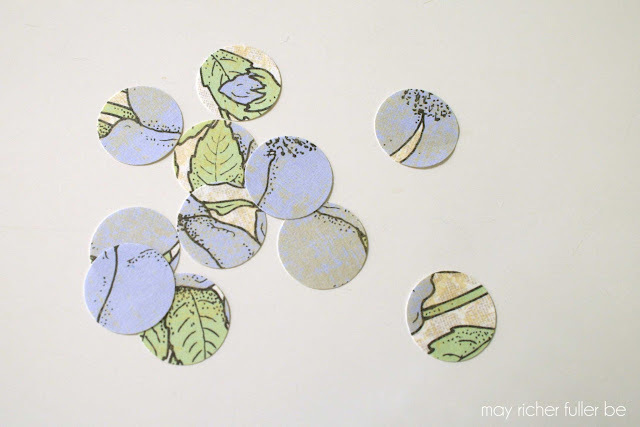 Use your craft punch to cut circles from your sheet of labels and pretty paper. 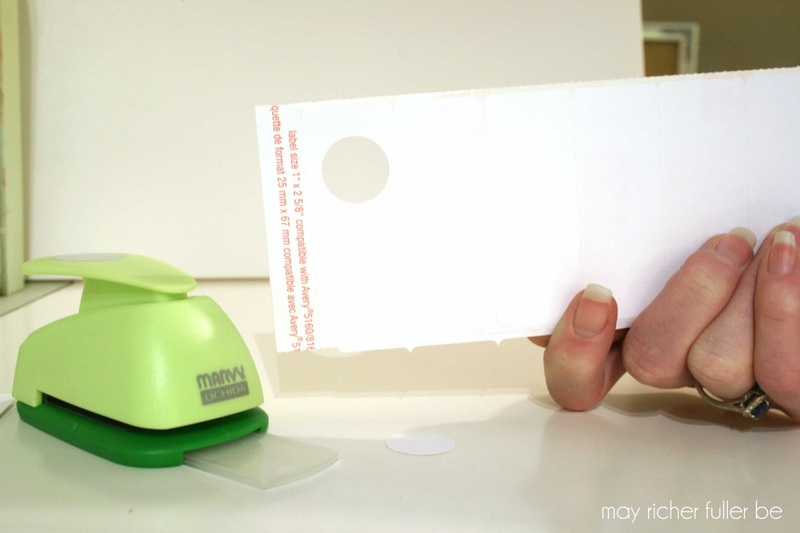 Since my craft punch only reaches so far, I found it easiest to tear the label sheet into three separate sheets along the existing perforations and punch one circle from each side of the label. I didn't count, but I think I punched about 20 or 30 circles for each labels and pretty paper. That's your "confetti"! Fun, huh? Step 2: Cut string to your banner's desired length (or wait until the end to see how long you want it - it's up to you). 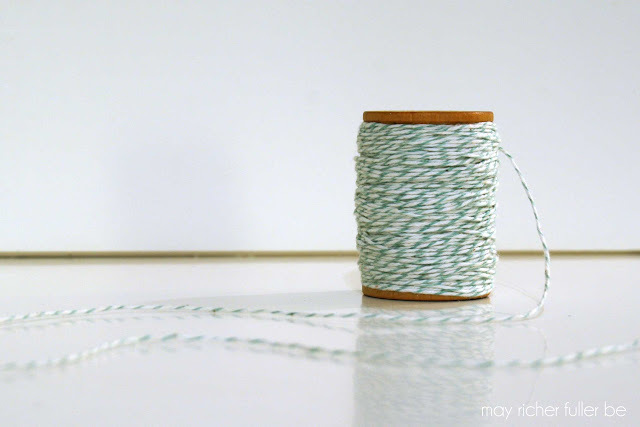 I used some green and white baker's twine for mine, but any string works. 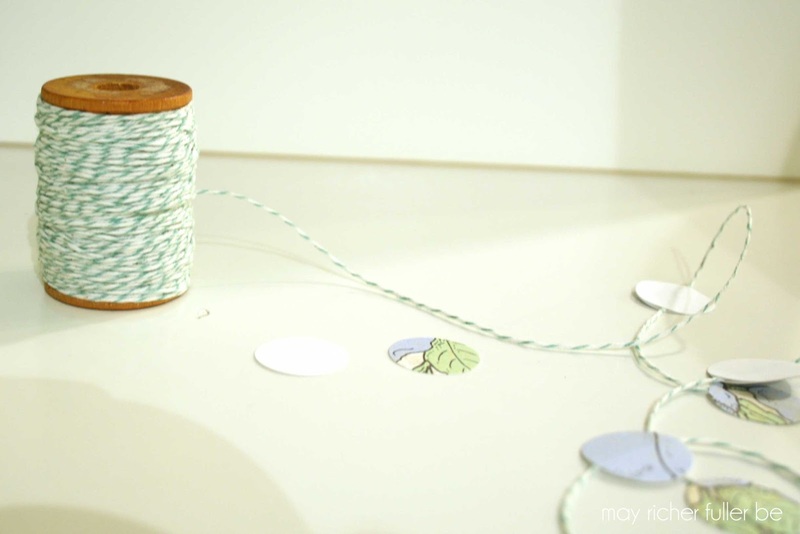 Step 3: Attach the circles to the string using one label circle and one pretty paper circle. 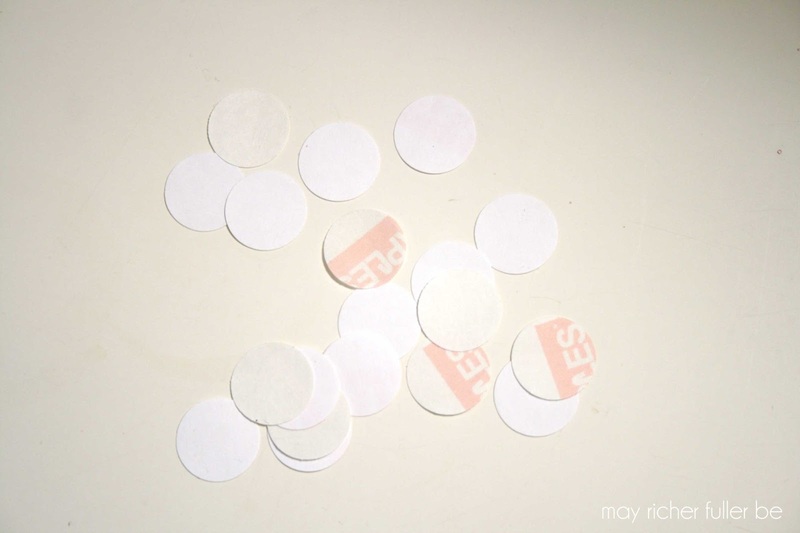 Take one of your label circles and peel the backing off (this can take some patience if you don't have fingernails to help you out!). 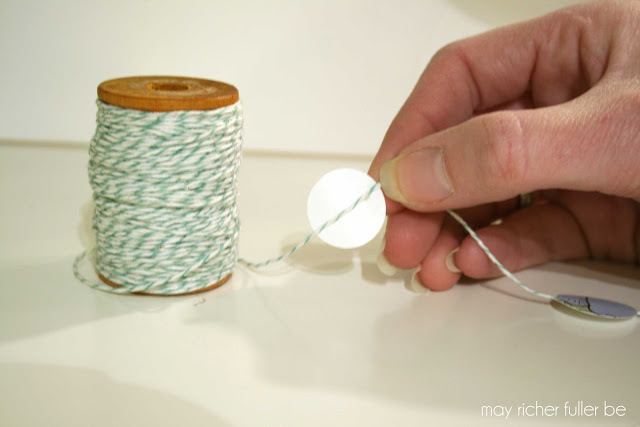 Stick the center of the label to the string. 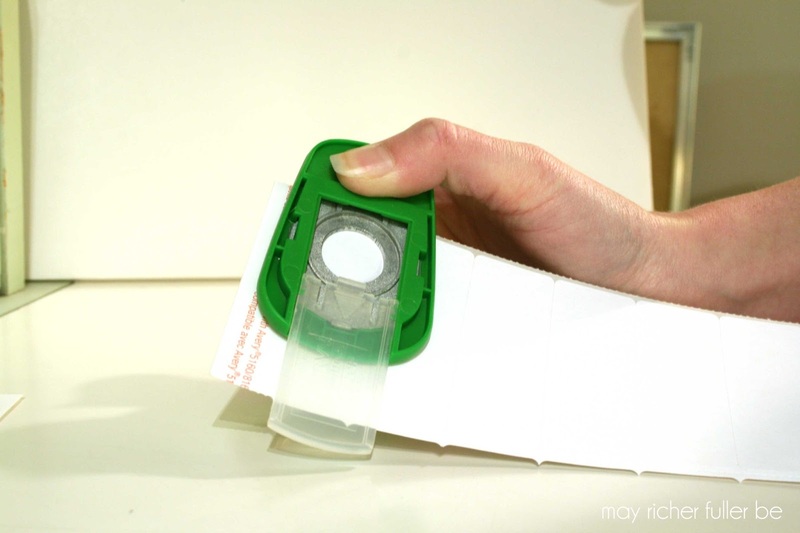 Take the pretty paper circle and stick it right onto the label (see? 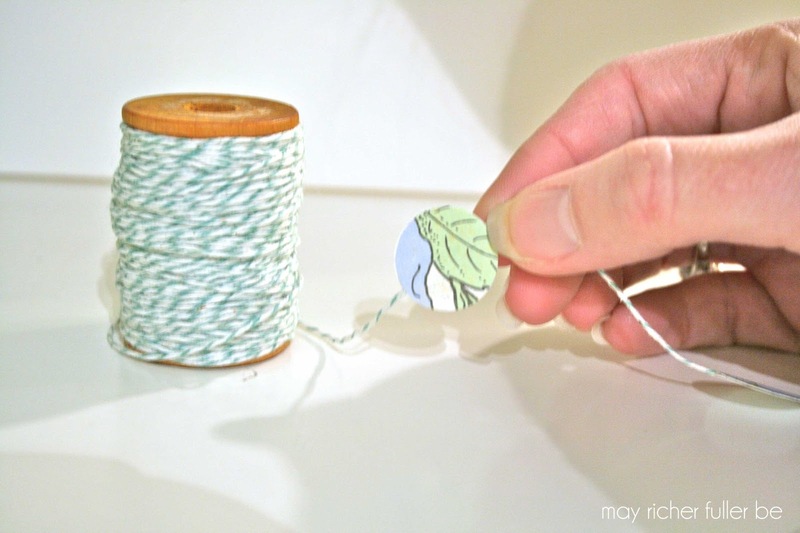 no glue, tape or sewing here!). Think of this as a sandwich. The two circles are the bread and the string is the good stuff in the middle. 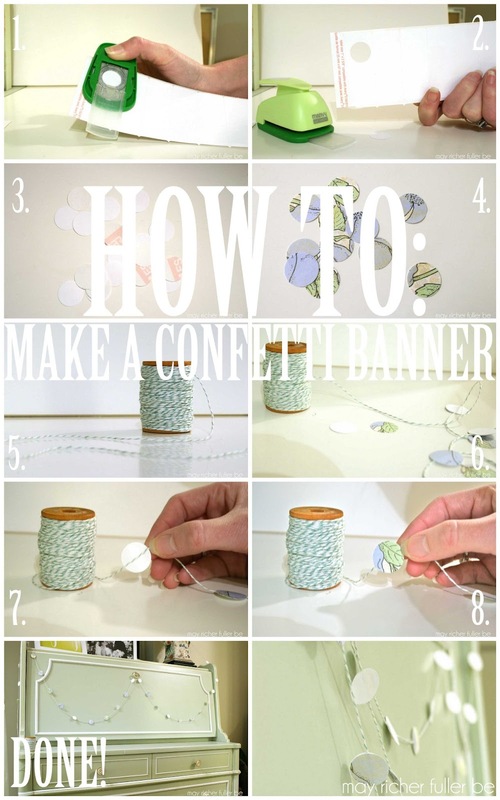 Step 4: Repeat step three until you've added enough circles (confetti!) to make your little banner complete. 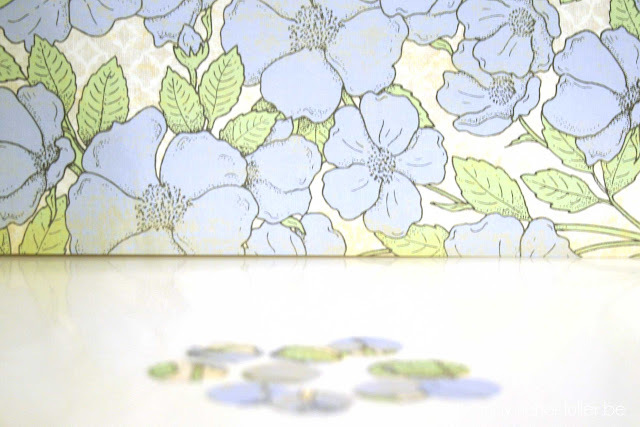 Hint: To evenly space your circles, use a note card or piece of paper as a spacer. That way there's no measuring - phew! Math has never been my strong suit. Step 5: Hang up your banner and enjoy it! I like it doubled or tripled up - so pretty. I think it would be perfect party decor, or you could even hang it as a mobile in a baby's room. Anyone else out there have a creative itch? I know I can't be the only one. I love this! 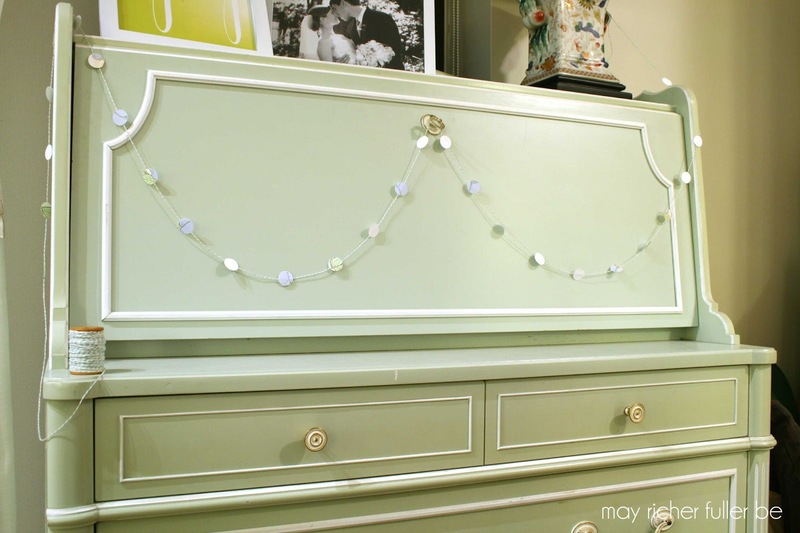 It's such a fresh, sweet little decoration and I love how it looks on that dresser. Perfect for a party too. Thanks for linking this up to Monday Funday! Thanks, Kelly! I appreciate it! That is so very cute! What a great little idea! Vocation Fairs are all over the place. Try not to be only one of thousands when going to. Take in the key to make yourself emerge from the group and get the businesses consideration. an optimal stress of 100 PSI.bricksite.com Of the removed components in Water Website the water besides chlorine Best Under Sink Water Filter customers could look forward to reverse osmosis system reviews it assaulting lead, mercury, herbicides, pesticides, best faucet water filter VOCs and even commercial solvents. that will be should download and jimdo.com install some apps.Duplicate the bypass apk data to Get More your phone making use of an SDcard. FRP Bypass Free Download for Android Smartphone APK App If you do not have an SDcard, then use the choice frp bypass technique displayed in the video.When FRP Bypass APK you have actually replicated or downloaded and install. This blog is so nice to me. I will keep on here again and again. Visit my link as well..
ohh so cool buddy !